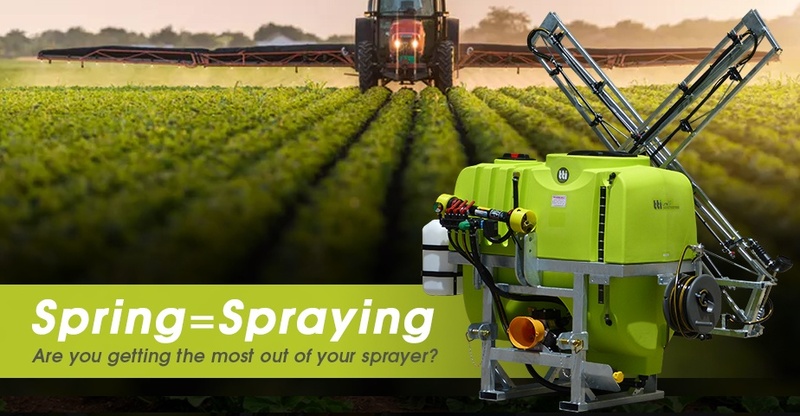 Are you getting the most out of your sprayer? Spring is spraying season and one of the most important times of the year for farmers. With only a few weeks left to prepare, TTi compiled a quick guide to make sure you are ready to hit the ground running and get the best results. It’s important to pay attention to your spray pressure as variations cause change in application rate, droplet size and spray pattern. What could be more important? Ease of use is the essential buying clincher, and nobody wants to break their back doing an everyday task! Accessibility » Get the reach you need out of your hose! Choose the right length to get around those tricky corners in the back paddock when you’re spraying. Pressure Rating » Determined by the pressure rating of your pump, eg. 40bar. Avoid Joining » It’s simple… avoid joining, avoid snagging! Non-kinking » Look for non-kinking features to prevent cracks and leaks. Improve spraying accuracy and reduce chemical wastage with foam marking kits and GPS guidance systems. Foam marking kits drop foam from the ends of your boom, ensuring you don’t overlap. GPS Spray Systems such as the TeeJet Matrix Pro and Centreline 220 are ideal for replacing foam markers when broad-acre spraying. Calibrating the sprayer helps determine how much water/chemical mix the sprayer puts out. This involves measuring the total spray output of the unit, travel speed, swath width and subsequently, application rate. Never calibrate the tank when filled with chemicals, always flush out completely with clean water first. It is vital to calibrate the sprayer in order to prevent poor weed, insect or disease control, which could result in damaged crops. Wise words, grandma, and perhaps a little more true than we would like! Though the potentially hazardous physical outcome of the wind changing may not be in question so much as the condition of your crop, it is very important to pick the day you spray. Just like cleaning the house, washing the car and feeding the kids, it’s essential to care for your investment. Checks should be carried out multiple times during the spraying season, and throughout the year. “An investment in knowledge pays the best interest”. If this maxim is good enough for Benjamin Franklin, it is good enough for us. It pays to be informed about your equipment.